The International Hot Rod Association announced today that Good Vibrations Motorsports, based in Whittier, California, will expand its partnership with IHRA Motorsports across the board in 2013 including a brand new sponsorship of the IHRA’s quickest and fastest sportsman classes in Top Sportsman and Top Dragster. Beginning with the Summit Racing Equipment Pro-Am Tour event at State Capitol Raceway in March, Good Vibrations Motorsports will serve as the title sponsor for the premier sportsman doorslammer and dragster classes at all 2013 IHRA events including Nitro Jam and Summit Pro-Am competitions as Good Vibrations Motorsports continues to expand its presence with the all-new IHRA. Good Vibrations Motorsports, based in Whittier, California, was founded by former Funny Car driver Jim Maher in 1989 as a home for high-performance racing products. The company specializes in supercharged applications and mechanical fuel injection and they offer premium quality products at very competitive prices and customer service that can’t be matched. Good Vibrations founder Maher is also an avid drag racing fan and Funny Car racer with multiple victories to his credit making him a perfect fit with the IHRA. Good Vibrations Motorsports will also act as presenting sponsor for three IHRA Nitro Jam events in 2013 including the Arizona Nitro Jam March 23, the San Antonio Nitro Jam April 5-6 and the MOPAR Rocky Mountain Nitro Jam Nationals July 5-7. 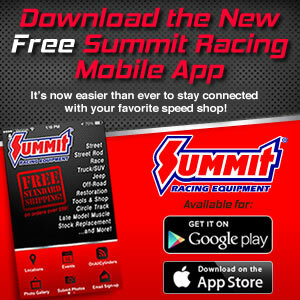 The Good Vibrations Top Sportsman and Good Vibrations Top Dragster classes will compete at all of the remaining Summit Racing Equipment Pro-Am Tour events and at seven Nitro Jam events on the schedule on the 2013 schedule. Good Vibrations Top Dragster will be the sole featured class at the Arizona Nitro Jam at Southwestern International Raceway. For more information on the 2013 Nitro Jam schedule visit www.nitrojam.com and for more information on Good Vibrations Motorsports and its incredible lineup of products visit www.goodvibesracing.com .